The Buffalo blizzard has driven Bob’s to sunny Florida for the holiday season. The snowbirds are stocking up for Christmas cheer, Hanukah celebrations and especially for that New Year’s morning after brunch featuring Bob’s No Problem Bloody Mary Maker. There’s no better way to start the New Year than with a tall, delicious Bloody Mary and Bob’s gives new meaning to the old expression “The hair of the dog”! There’s still time to get some, so hurry and get your orders in and wake up to a Bob’s in 2011. Nice package design. Great product. Should do well. 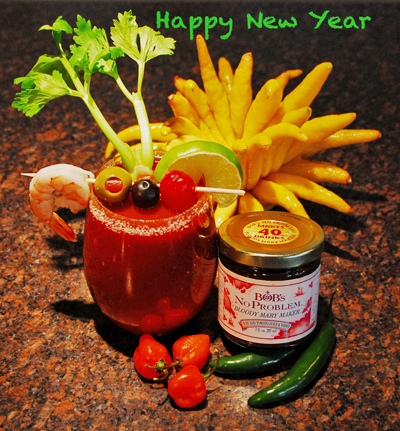 Well, New Years has come and gone but Sunday brunch will always be a winner with Bob’s Bloody Marys. Several new restaurants have said that they love it as a marinade and sauce additive too. 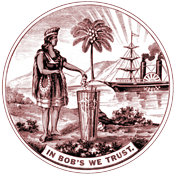 Bob’s thanks all our loyal supporters some of whom have been with us for 25 years. We look forward to a great 2011. Bob’s is now available at the famous Howard’s Market in Boca Raton, Fl.